Nintendo 3DS COOKING MAMA 4 KITCHEN MAGIC Complete w/ Manual Game~CIB~Excellent! Cooking Mama 4: Kitchen Magic (Nintendo 3DS, 2011) COMPLETE CIB 2DS XL TESTED! Cooking Mama 4: Kitchen Magic (Nintendo 3DS, 2011) complete! 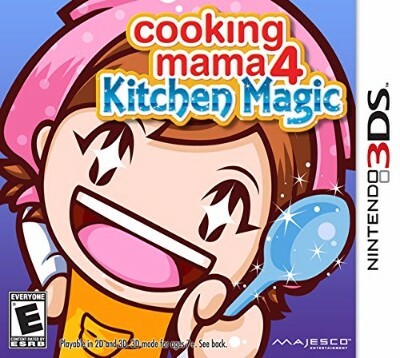 Cooking Mama 4: Kitchen Magic - Nintendo 3DS Complete!